Traveling the world (from Mongolia to Spain) to find new, hardy turf varieties, Dr. Bonos's turfgrass research is focused on developing improved, pest resistant and stress tolerant turfgrasses. These improved breeds can be utilized for resource conservation and environmental enhancement anywhere cool-season turfgrasses are grown. Specifically, she is leading research projects on breeding for disease resistance and salt tolerance. Read about her globe-trotting scientific journeys here. Click here to read more about Dr. Stacy Bonos' work to develop modern strains of turfgrass that stand up against a variety of diseases and reduce the need for chemical applications. In addition, Dr. Bonos is working to develop high yielding cultivars of switchgrass that can be utilized for biofuel production. These high biomass grasses could be utilized as a renewable energy source to help decrease reliance on fossil fuels and reduce the release of CO2 emissions into the atmosphere. Dr. Bonos has contributed to several textbooks and has been published in many scholarly journals. 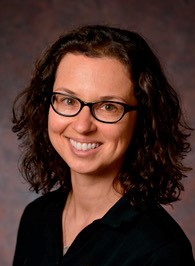 She received her BS in biology from Gettysburg College before coming to Rutgers to pursue her MS in Plant Science and Technology and PhD in Plant Biology and Pathology. Named to Sports Illustrated Golf Magazine's "40 under 40" list in 2010 and recognized as the Young Crop Scientist of 2005 by the Crop Science Society of America, Dr. Stacy Bonos is a celebrated member of our instructional team. She was also selected by the multi-state Plant Breeding Coordinating Committee (PBCC) to receive its inaugural Early Career Excellence in Plant Breeding Award. Attend The Rutgers Professional Golf Turf Management School to learn "turfgrass development" from this respected scholar. Rich Buckley runs the Plant Diagnostic Lab and Nematode Detection Service at the Ralph Geiger Turfgrass Education Center at Rutgers. With decades of experience working in one of the leading diagnostic labs in the country, he is highly regarded as a leader in the field of turfgrass problem solving. In addition to managing the plant diagnostic laboratory, he is a highly rated professor at Rutgers. Infamous for being a wildly interesting instructor, Rich frequently travels across the country to serve as a guest lecturer and invited speaker at numerous green industry functions. After earning his BS in Entomology and Plant Pathology from the University of Delaware, Richard Buckley received an MS in Turfgrass Pathology from Rutgers University. In 2006, he received the Rutgers Turfgrass Alumni Association Achievement Award. In 2012, he was awarded the New Jersey Turfgrass Association Recognition Award. Get a glimpse of Rich Buckley's boundless expertise and unforgettable personality by reading his posts on the Rutgers Plant & Pest Advisory Blog. Attend The Rutgers Professional Golf Turf Management School to learn about diseases and insect pests of both turfgrasses and ornamental plants from this premier turf disease specialist. Joe Clark is the Research Farm Supervisor for the Horticultural Research Farm II at Rutgers. As such, he manages the operations of the farm, including research schedules, irrigation and equipment. He also coordinates educational programs with organizations such as the New Jersey Turfgrass Association and Future Farmers of America and provides training to landscape contractors and golf course superintendents. On top of all of that, the Rutgers Professional Golf Turf Management School is incredibly lucky to have him teach our mower technology, pesticide calibration and math courses. With his step-by-step instruction and hands-on demonstrations, Joe goes above and beyond to help students understand his math and equipment lessons. He truly is a patient and dedicated educator. In addition to earning a BS in Environmental Planning, Landscape Industries from Rutgers University, Joe has also received technical training from Toro Factory Service School, Toro Grounds Master School, Bernhard Reel Grinding Seminars, Kohler Small Engine Service School and Briggs & Stratton Small Engine Service. Attend the Rutgers Professional Golf Turf Management School to learn the math of mixing, measuring and calibrating from this committed educator. With a multitude of distinguishing awards and honors (over 45) earned throughout his career, Dr. Bruce Clarke is a well-known name in the turfgrass industry. He was the President-Elect of the International Turfgrass Society from 2009-2013 and has been an active member since 1985. To top it off, Clarke won the Golf Course Superintendent Association of America's Col. John Morley Distinguished Service Award in 2014. A consummate professional in plant pathology throughout his career, he has developed a strong research program in the area of fungal disease identification and control in cool-season turfgrasses. Specifically, he has made major contributions in regards to summer patch (Magnaporthe poae), anthracnose (Colletotrichum cereale), gray leaf spot (Magnaporthe oryzae) and dollar spot (Sclerotinia spp.). In fact, Clarke has published more than 60 refereed journal articles, more than 200 industry publications and three edited books for APS PRESS (the publishing imprint of The American Phytopathological Society). In addition, Dr. Clarke presents over 50 research/extension presentations annually. The fact that Clarke is invited to give presentations at venues throughout the country and all around the world is a testament to the high level of respect that he is accorded for his knowledge of turfgrass diseases and his ability to convey that knowledge to others. An honored professor of plant disease diagnostics and turfgrass pest science, Clarke has successfully advised many doctoral and masters degree students, as well as post-doctoral fellows. Attend the Rutgers Professional Golf Turf Management School for your chance to learn from this respected scholar and teacher. A longtime proponent of unusual and fun plants, Bruce had his own garden design business for nearly 25 years that specialized in plantings for year-round interest. One of those gardens was published in Fine Gardening Magazine! 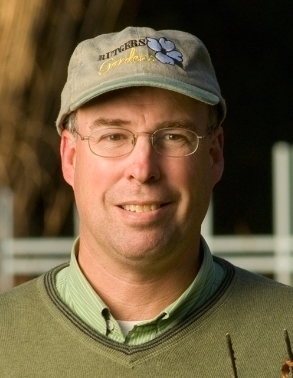 Today, Bruce is the Director of Rutgers Gardens, the botanical garden for Rutgers University, and is an adjunct professor of Landscape Architecture at Rutgers University. His position as Director of Rutgers Gardens involves managing the 180 acre facility, which includes designed gardens, woodlands and open fields. Rutgers Gardens is open 365 days a year and has become a destination for over 30,000 visitors annually. Bruce is now focused on redeveloping the Gardens so that they tell the story of plants over the past 450 million years and wants to provide visitors with the opportunity to see these plants featured in seasonally attractive designs. He also lectures frequently to various groups at continuing education programs. Attend the Rutgers Professional Golf Turf Management School to learn pruning techniques from this recognized specialist. Bingru Huang is a Distinguished Professor and Ralph Geiger Endowed Chair Professor in Turfgrass Science at the Department of Plant Biology, Rutgers University. Her research program focuses on understanding mechanisms of turfgrass tolerance to abiotic stress (high temperatures, drought, salinity, and cold stress) and developing effective management strategies to improve turfgrass plant health and stress tolerance. She has been teaching seminars on the topic of Advanced Stress Management Strategies for Cool-season Turfgrasses” for the Golf Course Superintendent Association for over 20 years. Bingru also travels worldwide for invited talks on turfgrass stress physiology in scientific seminars and discussing turfgrass stress management practices for turfgrass practitioners and managers. 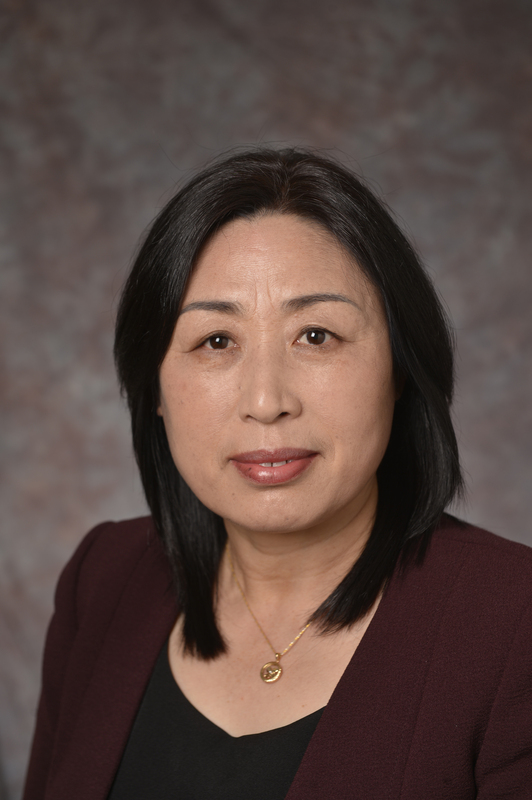 To name a few of Bingru's awards: She is the recipient of the 1997 Young Crop Scientist Award of the Crop Science Society of America, Fellow of CSSA in 2004, Fellow of ASA in 2003, and Fellow of AAAS in 2011. She received the Research Excellence and Impact Award from Rutgers in 2007 and the Recognition Award and Hall of Fame from the New Jersey Turfgrass Association. For a full list, visit Bingru's online CV. Attend the Rutgers Professional Golf Turf Management School to learn turfgrass stress management and the fundamentals of applying plant health products from this internationally-recognized expert. Albrecht Koppenhöfer is an extension specialist and professor in the Department of Entomology at the School of Environmental and Biological Sciences at Rutgers University. He works to develop and implement sustainable integrated pest management relying on little or no pesticides. The goal of his program is to develop and implement ecologically-based IPM for turfgrass systems with an emphasis on sustainability and biological control. Currently, much of his research is directed at developing a better understanding of insecticide resistance in the annual bluegrass weevil and to develop better and more sustainable ways to manage this pest through better monitoring methods and chemical, biological, and cultural means. His research is supported by numerous awards from turfgrass industry organizations, including the Golf Course Superintendents Association of America. Albrecht Koppenhöfer has had countless articles published in research journals. Click here for a full list of Albrecht Koppenhöfer's research publications. In addition, his work has been featured in other industry publications. For example, the April 2015 issue of Golf Course Magazine (GCM) published his article entitled, "Egg-laying preferences and larval development of annual bluegrass weevil on Poa annua and selected bentgrasses." Attend the Rutgers Professional Golf Turf Management School to learn how to identify and control turf insects from this well published IPM expert. 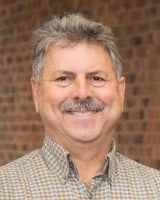 Ned Lipman served as the Director of the Office of Continuing Professional Education at Rutgers University's New Jersey Agricultural Experiment Station for over 30 years. Throughout his career, Ned also taught microeconomics and marketing for Rutgers School of Environmental and Biological Sciences to well over 4,000 undergraduate students. He took a lot of pride in the environmental courses his office provided and was especially passionate about the life-changing programs offered by The Rutgers Professional Golf Turf Management School. His tireless efforts were recognized in the year 2000, when the NJ Turfgrass Association inducted him into their Hall of Fame. This honor is presented to one person annually in recognition of a continuing lifetime commitment of dedication, service and achievements contributing to the advancement of the turfgrass industry of New Jersey. Although he retired from the Director position in 2013, Ned continues to teach management and communication skills for The Rutgers Professional Golf Turf Management School as well as microeconomics and marketing for Rutgers University undergraduates. Attend the Rutgers Professional Golf Turf Management School to learn the management and communication skills necessary for success from this recognized specialist. Since April 1996, Dr. Meyer has served as Director of the Turfgrass Breeding Project at Cook College, Rutgers University. The previous 21 years after graduate school were spent as a commercial turfgrass breeder and Corporate President in Oregon. At Rutgers, the Turfgrass Breeding Project has population improvement projects on 9 different open-pollinated cool-season turfgrass species. These projects include running cycles of selection in single-plot progeny mowed turf trials where breeding objectives include improving disease, insect and environmental stress tolerance. Cycles of selection also include selection of superior seed yielding germplasm in spaced-plant nurseries. Extensive collecting from old turf areas in Europe and America are being carried out each year in all of these species along with their associated endophytes. Many of these endophytes have been shown to enhance disease, insect and stress tolerance. When superior collections are identified, they are integrated into the Rutgers New Jersey adapted populations by using a modified backcrossing technique. Read more about his international turf research here. The breeding project is also doing extensive breeding work on bluegrass. Through greenhouse crossing techniques, these apomictic grasses can be hybridized to create new F1 hybrids. Another new area is interspecific crosses of Texas bluegrass with Kentucky bluegrass. Many new promising hybrids are under development. All of the new cultivars and improved germplasm is then developed by agreements between other organizations and Rutgers University. This breeding project is the largest and most successful project of its kind on cool-season turfgrasses. Attend The Rutgers Professional Golf Turf Management School to learn agronomy and turf species from this respected breeding expert. James Murphy is the Extension Specialist in Turfgrass Management at Rutgers University. He conducts extension and research programs related to identifying best management practices for turfgrasses grown in the metropolitan region around New Jersey. His work often focuses on developing a better understanding of turfgrass response to soil-related stresses. Dr. Murphy shares some turf management best practices in this short video. Before working at Rutgers, Dr. Murphy received a BS from Western Illinois University and a MS and PhD from Michigan State University. Today, he is internationally recognized as an authority on best management practices that enhance the stress tolerance, persistence, and environmental benefits of cool-season turf. He has authored 63 peer-reviewed publications. Dr. Murphy also provides leadership at the international, state, and local levels. In addition to his work for Rutgers, he is active in the American Society of Agronomy, Soil Science Society of America, International Turfgrass Society, and European Turfgrass Society. Dr. Murphy has numerous invitations to present his research at national and international conferences. In 2014, Dr. Murphy was elected Crop Science Society of America Fellow, which is the highest recognition bestowed by the CSSA. Members of the Society nominate worthy colleagues based on their professional achievements and meritorious service. Attend the Rutgers Professional Golf Turf Management School to learn turf establishment and maintenance techniques from this respected researcher. As a part of the Rutgers Center for Turfgrass Science, Brad performs traffic stress research on cool-season turfgrass species commonly established for sports fields. He routinely visits athletic facilities in New Jersey to assist turf managers in solving problems associated with high traffic sports fields. Prior to being at Rutgers, Brad was a Research Technician at the Center for Turfgrass Science at Penn State, where he completed a Bachelor of Science degree in Turfgrass Science and Master of Science degree in Agronomy. Brad is a member of the Sports Field Managers Association of New Jersey Board of Directors and was the recipient of the 2016 Recognition Award presented by the New Jersey Turfgrass Association. Sabrina Tirpak is the Principal Laboratory Technician at the Plant Diagnostic Lab and Nematode Detection Service at the Ralph Geiger Turfgrass Education Center at Rutgers. Working in one of the leading diagnostic labs in the country since 1998, she is highly regarded as a leader in the field of plant problem solving. As such, she is frequently called upon as a guest lecturer and invited speaker at numerous green industry functions. After earning her BS in Plant Science from Rutgers University, Sabrina attended Clemson University for special training in nematode detection and identification. When not working at the Plant Diagnostic Lab, Sabrina volunteers most of her time to supporting the animals of Happy Paws Rescue. Attend the Rutgers Professional Golf Turf Management School to get hands-on lab experience with this premier turf disease and insect professional. Phillip’s current research focuses on the implementation of molecular breeding tools in a traditional turfgrass breeding program for the improvement of morphological traits and biotic and abiotic stress responses in perennial ryegrass. Phillip’s educational background includes a B.S. in Agronomy with a minor in Business Administration and an M.S. in Plant Pathology with minors in Statistics and Biochemistry from Mississippi State University. His master’s thesis focused on evaluation of cultural management practices of ultradwarf bermudagrass putting greens and identification of root-infecting fungi associated with ultradwarf bermudagrass decline. Phillip enjoys studying and teaching mathematics and he will complete an M.S. in Statistics at Rutgers University in May 2018. Attend the Rutgers Professional Turf Management School to learn valuable principles from the Mathematics of Turfgrass Management with this enthusiastic educator. Chris Carson has been superintendent of Echo Lake Country Club for 20 years. He received a BS in environmental science/turf management from Cook College, Rutgers University in 1979. He is a past president of the Golf Course Superintendents Association of New Jersey and a past president of the New Jersey Turfgrass Association. Currently, he serves as a director for the New Jersey Turfgrass Association. Carson wrote, "10 Things You Should Have Learned in Turf School," which was published in the February 2007 issue of Golf Course Management Magazine. Attend the Rutgers Professional Golf Turf Management School to learn professional development and budgeting from this well-respected industry professional. Bob Dobson is President of Middletown Sprinkler Co. in Port Monmouth, NJ, a full service irrigation firm that has been serving the northeast for over 40 years and specializes in water efficient landscape irrigation systems that promote healthy and vibrant landscapes while conserving water and reducing water costs. Bob is an Irrigation Association (IA) Certified Irrigation Designer for residential, commercial, and golf course irrigation systems and an IA Certified Irrigation Contractor. A leading voice in the irrigation industry, Bob is a past president of the national Irrigation Association, the Irrigation Association of New Jersey, and the New Jersey Turfgrass Association. 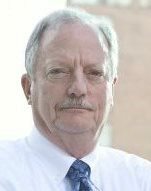 He is also a past chairman of the national Irrigation Association's Certification Board of Governors and has served on the IA's Board of Directors. He is a member of the New Jersey Landscape Irrigation Contractors Examining Board. Bob has been honored with the IA's Industry Achievement Award and the Irrigation Association of New Jersey's Lifetime Achievement Award. He was also recognized by the EPA with a WaterSense Excellence Award. He is the co-author of a book entitled Golf Course Irrigation: Environmental Design and Management Practices, which was published in 2003. 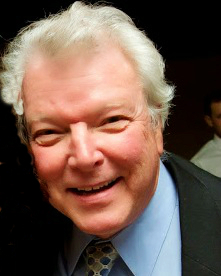 Bill Jamison is a communications consultant and an accomplished public speaker who has been teaching courses through Rutgers University since 2002. Students have enjoyed his engaging presentation style while learning about topics such as team building, emergency and crisis communications, effective speaking and presentations, improving interpersonal communication skills, message management, marketing, and more. Bill is a performing musician and songwriter who can be seen performing all over New Jersey with The Bill and Casey Show. He also has extensive knowledge of film production and technique including script writing, editing, voice-over, camera operation, and production design. Bill received this training from Brookdale Community College and received his B.A from Montclair State College. Attend the Rutgers Professional Golf Turf Management School to learn professional communications skills from this well-respected industry professional. Teaches in Two-Year Certificate Program. Stephen Kay is an award winning golf course architect who has been in practice since 1983 and has been affiliated with work on over 300 new and renovated projects in the United States and overseas. He prides himself by blending the classic principles of design in this highly technical modern era. His extensive experience restoring Tillinghast, Ross, Travis, Emmet, Banks and others is second to none. Check out this Inside Golf TV video from 2014 for a private tour of the new Union League Golf Club at Torresdale with course designer Stephen Kay. He discusses how he gave the revered course a Donald Ross style makeover to bring back the expert design of its past. Before going into his own practice, Stephen worked as a design associate, construction supervisor, and green superintendent in Michigan. He received Bachelor degrees in Landscape Architecture and Environmental Studies from Syracuse University and is a graduate of Turfgrass Management from Michigan State University. Stephen has been an instructor at Rutgers since 1985. Attend the Rutgers Professional Golf Turf Management School to learn about golf course design from this premier golf course architect. Author of "Designing Successful Superintendents"
Steven Kristoph owns and operates Steven Kristoph Nursery and Garden Design based in Millstone Township in Monmouth County, NJ. He grows many types of ornamental trees, shrubs, and herbaceous perennials for commercial and residential customers. Member of the NJ Nursery and Landscape Association and American Rhododendron Society, Steven is highly active in the industry. In fact, he received the NJ Turfgrass Alumni Association Achievement Award in 2001 for his efforts. A Rutgers Alumni, Steven received his bachelors and master’s degrees in plant science. 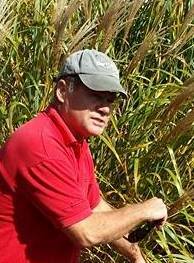 Now a Rutgers adjunct professor, Steven has been our plant science instructor for over 25 years. He is passionate about plant and his enthusiasm is contagious. Steven Langlois has been our Turfgrass Management and Establishment instructor since 1991. He has been a turfgrass management consultant since 1985. He has worked at 15 golf courses, 6 athletic fields, and 3 estates on turfgrass management programs. He also operates a turfgrass research station for NexGen Turfgrass Research Company in Salem, NJ. He has managed the station since 1988, working to identify and produce new turfgrass varieties. Steven received his B.S in Agricultural Sciences from Rutgers and M.S in Agronomy from Penn State. Steve McDonald is the founder of Turfgrass Disease Solutions, LLC which is an independent research and agronomic support company based in the Mid-Atlantic region. Steve has over 15 years in the golf course management business working at both private and public golf courses. Steve consults on over 100 golf courses annually. He received a B.S in Turfgrass Management from Delaware Valley College and a M.S. in Agronomy from University of Maryland. Currently, Turfgrass Disease Solutions' research efforts focus on plant protection, weed control, fertility, and cultural practices of fine turfgrass. Bruce Neary is the owner of B.C.N. Horticultural services, where he has provided consulting services to landscape architects, contractors, developers, garden centers, nurseries, educators, and the public since 1994. Regarded as an industry expert, Bruce has written several articles for The Landscape Publication, Grounds Maintenance Magazine, and the American Nurseryman. Likewise, he has been a horticultural lecturer at Barlow Flower Farm and for other landscape organizations for over 30 years. Bruce is a member of the Pennsylvania and American Horticultural Societies, Metro Hort Group, and Perennial Plant Association. He received his bachelor’s degree in Agronomy from Rutgers University and earned his Masters of Agriculture in Horticultural Sciences from Texas A&M. He also received the Professional Grounds Maintenance Society Honor Award for Residential Landscapes in 1982. Dr. Plumley currently serves as research director for the Alliance for Low-Input Sustainable Turf (A-LIST). A-LIST® is a nonprofit industry initiative that seeks to influence the direction of turfgrass breeding toward varieties that are more sustainable and can perform their function with minimal maintenance inputs, thus benefiting the environment. A Jersey girl through and through, Dr. Plumley was born, raised and educated (mostly!) within the state. She earned her doctorate at Rutgers University in turfgrass pathology, as well as a B.S. in botany. She also holds an M.S. in forest pathology from the State University of New York-College of Forestry. She has a strong interest in education and teaches multiple undergraduate courses at Rutgers University in leadership and plant science. She has also taught courses in soil science and plant pathology at Brookdale Community College and has given numerous lectures to turfgrass professionals at turfgrass conferences and other educational programs across the country. In 2004, she was honored to be the recipient of the Rutgers Turfgrass Alumni Achievement Award. Dr. Plumley recently began serving her fourth term on the board of the New Jersey Turfgrass Association (NJTA). She served two terms as President of the NJTA (the largest organization of turfgrass professionals in the state), leading the organization through a time of major transition. She has also served as President of the New Jersey Turfgrass Foundation (NJTF), the philanthropic arm of NJTA, for two terms coordinating fundraising efforts and overseeing industry support to build the foundation. To date, the NJTF has raised more than two million dollars and over one million dollars of that has been returned to the Rutgers University Turfgrass Program in the form of student scholarships, fellowships, research grants, scientific equipment and facilities support. Attend the Rutgers Professional Golf Turf Management School to learn the science of soils from this committed educator. 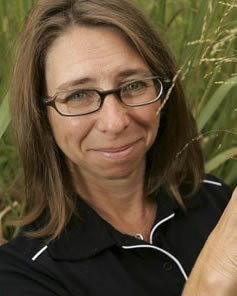 Marie Pompei has worked in the turf industry as a technical agronomist since 1989. She currently works as a Regional Sales Manager for F.M. Brown's, a six generation company specializing in custom mixing of turfgrass, forage and native grass seeds for lawn care, sports turf, and low maintenance landscapes. Day in and out, she works with accounts to create turfgrass seed mixtures with a performance edge. Marie has consulted with golf course architects, superintendents, and landscapers on turfgrass varieties, native grasses, wildflower seed and fertilizer specification, and maintenance scheduling. She also has experience in coordinating new golf course construction sales, giving seminars for sales staff and distributors, and has been a featured speaker at national conferences. Marie completed her B.S in Plant Science with a minor in Horticulture from Rutgers University and has been a turfgrass species instructor here since 1989. Attend the Rutgers Professional Golf Turf Management School to about turfgrass varieties from this expert agronomist. Henry Qu received his bachelor’s degrees from a joint program by Shanghai Jiao Tong University and Rutgers University in 2013. After that, he worked at Plainfield Country Club in New Jersey and Augusta National Golf Club in Georgia, which provided him with a deeper understanding of both American culture and the golf industry. Currently, Henry is pursuing a Ph.D degree at Rutgers University in cool season turfgrass breeding and genetics under the direction of Dr. William Meyer. 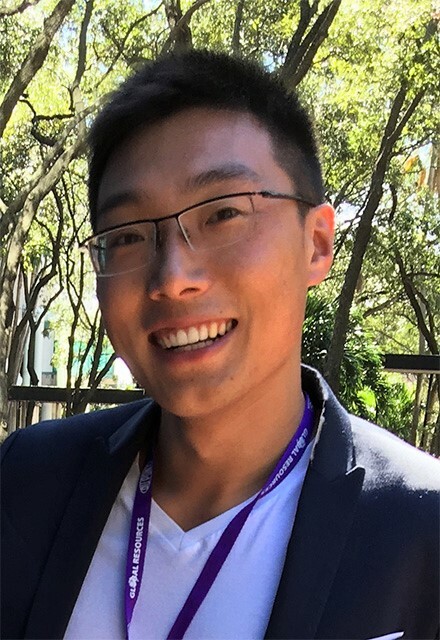 While working towards his Ph.D degree, Henry also obtained a master's degree in statistics and biostatistics in the Rutgers University Department of Statistics. His research focuses on the improvement of drought tolerance in tall fescue and development of statistical models for data analysis& visualization. Attend the Rutgers Professional Golf Turf Management School to study turfgrass species and development in the laboratory with this highly-educated research scientist. Dr. Stephen J. Souza is the owner of Clean Waters Consulting, LLC. He has over 35 years of project experience managing and restoring lakes, ponds, and reservoirs. Dr. Souza received his B.S. from the University of Massachusetts, Dartmouth, his M.S. from Rutgers University, and his Ph.D. from the University of Connecticut. Dr. Souza is the Founder of Princeton Hydro, LLC and served as the company's President until his recent retirement from Princeton Hydro in 2019. Dr. Souza has served as an instructor and course coordinator for the Rutgers NJAES Office of Continuing Professional Education for over 25 years. He is an Adjunct Professor at Temple University and also conducts professional continuing education courses at Montclair State University. Dr. Souza is a past president of the North American Lake Management Society (NALMS), as well as the Pennsylvania Lake Management Society (PALMS). He serves on the Board of Trustees of the Association of New Jersey Environmental Commissions (ANJEC). Dr. Souza's achievements include the NJ-American Water Resources Association Peter J. Homack Award (2012), the NALMS Lake Management Success Story Award (2017), and the NYS Federation of Lake Association Lake Tear of the Clouds Award (2018). He is a frequent guess speaker for the NJ Coalition of Lake Associations, as well as NJDEP, NYSDEC, and other entities dedicated to the protection, restoration, and management of water resources. Attend the Rutgers Professional Golf Turf Management School to learn about water management from this award winning expert. Rich Watson became a high school groundskeeper in 1988 at Overbrook High School in New Jersey. He worked and earned a position as the Supervisor of Buildings and Grounds for all of the Deptford Township Schools. He also owned a lawn care company, managed a municipal baseball/softball complex and managed polo fields, putting greens, and croquet courts for a private estate on the east end of Long Island. Rich retired after 25 years of service to the state of New Jersey and is now working on the sales team for Laurel Lawnmower. Laurel Lawnmower is located in Blackwood, NJ and is an industry leader in customer service. Attend the Rutgers Professional Golf Turf Management School to learn the principles of Integrated Pest Management (IPM) from this passionate and enthusiastic expert. A senior member of the Metropolitan Golf Association staff for more than 30 years, an active member of USGA Championship Committees, a former President of the International Association of Golf Administrators and former Board member at both a public facility and a private club, Gene's influence is felt in championship golf, international competition, club operations and administrative leadership. Today Gene is an author, speaker and golf consultant through his own company, Gene Westmoreland Golf Services. He is author of A Game For Life: Golf's Rules and Rewards and frequently lectures on the topic. Gene was the Senior Director of Rules and Competition and Assistant Executive Director for the Metropolitan Golf Association for over 30 years. He was also the President of International Association of Golf Administrators in 2002 and was a member of the USGA Mid-Amateur Committee from 1994-2008. Gene has extensive experience with golf tournaments and served on the Rules Committee at 8 USGA National Championships. Attend the Rutgers Professional Golf Turf Management School to learn how to prepare your course to host an event from this passionate and enthusiastic expert.